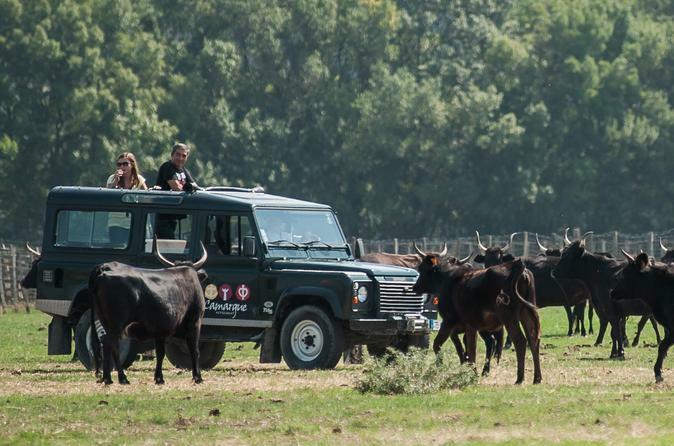 We offer you the opportunity to take the “road of senses” on a four-wheel drive for three and a half hour. Step by step, you will discover the country. Surprise a pink flamingo in the swamps; see a coypu crossing the trail, or bulls and horses in meadows in the “Manade”.